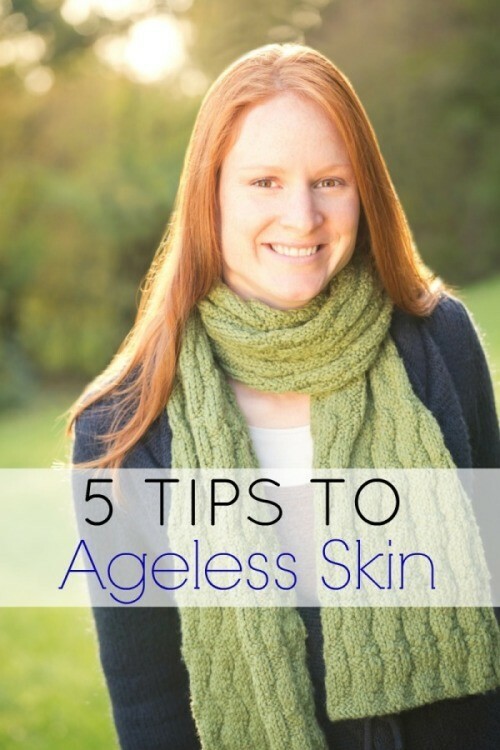 Ageless skin. Turning back time. What do you think or do when you hear those two phrases? Do you groan a little? I know I used to. I also know I’ve spent countless dollars and many hours reading article after article about how to to get the skin I want. Now that I am so very wise and almost 40 (go ahead and laugh), I am realizing having great skin is a combination of factors. It’s what I put in my body, what I do with my body (and mind) and what I put on my body. When all those things are in alignment, my skin glows. It radiates. Not to mention the number of other benefits my body receives. Keep reading for one amazing give away from Purity of Elements, a skin care company I can’t wait to tell you more about. Here are 5 tips I’ve learned along the way that lead to ageless skin. I’m still a work in progress and am constantly trying to add all of these tips into my life, so please don’t think I always have it all together. I’ve already admitted to you once I have an issue with exercising. But I’m getting better! One thing I am very faithful at is my skin care routine. So I can at least pat myself on the back for that one. I know I preach this all the time, but it really has changed how I look and feel. I used to go all day with maybe a couple of sips of water and not only could I feel it, but I could see it all over my face. Now that I keep a water bottle at my desk and carry one in my car, I feel different. My skin looks and feels different. My digestion is better. I truly believe this is the easiest thing people can change when it comes to the road to feeling and looking better. It’s so simple. Try it for a week. Track how much your’re drinking and by the end of the week, see if you notice a difference. I’ve started with a goal of 10 minutes a day of exercise. Ten minutes you say?! Yes. A girl has to start somewhere. I don’t know why I wasn’t given the gene of a love for exercise, but it’s just not there. Or at least I’ve lost it somewhere. I did have it at one point. I used to do crossfit with my oldest son religiously. Although I couldn’t look you in the eye and say I loved it. But I did feel amazing. I believe that even the slightest bit of exercise does something for our skin. It starts from the inside out. So I’ll take my ten minutes and at some point raise it. Next thing you’ll know I’ll be running a marathon. Whoa there Julie. I think exercising your body and mind can go hand in hand. It does something for your state of mind and if you walk for your exercise, you can get a lot of thinking out of the way. Maybe even solve the world’s problems. Or possibly just yours. Either way a clear mind leads to relaxation. Relaxation leads to a relaxed face, which leads to less wrinkles. Do you see where I’m going with this? There are so many different ways to exercise your mind whether it’s while you exercise, read a book or solve a puzzle. I was talking with a friend the other day about how I get really overwhelmed with all of the ways to eat healthier that are talked about. There’s eating clean, Paleo, low carbs, no carbs, low calorie, low fat, gluten-free….My head is spinning. Is yours? She said her family decided to focus on one thing for the month – getting their fruit and vegetable servings in for the day. That was their focus. That’s when it hit me that I was over-complicating things for myself. If you’re wanting to eat healthier, but you feel overwhelmed and don’t know where to start, swap out one unhealthy snack that week for a healthy snack. Or do what she did and decide you’re going to focus on getting your fruit and vegetable servings in every day. Just do something to move yourself to healthier eating, which in turn leads to better health and better skin. I used to be the queen of cheap. There. I said it. Cheap skin care that made my skin issues worse. Cheap clothes that didn’t last. Cheap kitchenware that lasted a few months. You get the picture. I realized there are things in life that are worth spending good money on. One of those things for me personally, is good skin care. Let me introduce you to Purity of Elements. They are a brand new luxury skin care company based out of Santa Fe, New Mexico and nourish the face with some of the most powerful ingredients our earth can give us. These ingredients, combined with advanced technologies, help counteract the impact of age, lifestyle and environmental factors on the skin. 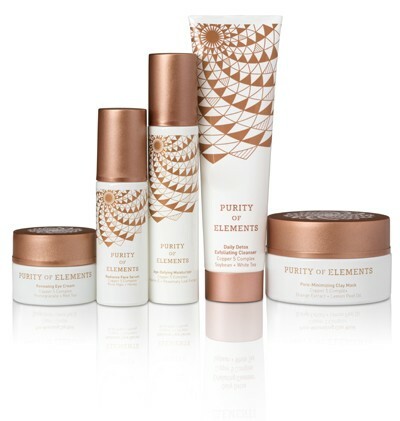 The Purity of Elements Skin Care Collection features the healing and restorative benefits of copper, a powerful natural anti-aging ingredient that helps boost the skin’s production of collagen and elastin to turn back the clock on fine lines, wrinkles, sagging skin and loss of firmness. The company was founded by Sheri Poe, a mother of four. She has graciously offered up an amazing giveaway of the line to one Mom Fabulous reader. Here are the products in the giveaway! Daily Detox Exfoliating Cleanser: A cleanser that gently exfoliates the skin and detoxifies pores without stripping, for an instantly silky soft complexion. Radiance Face Serum: A balancing and hydrating serum that helps diminish the appearance of fine lines and wrinkles, while restoring radiance for a luminous, even complexion. Renewing Eye Cream: An antioxidant-infused eye cream that instantly hydrates and brightens the eye area by decreasing the appearance of fine lines, puffiness and dark circles for a luminous, even complexion. Age-Defying Moisturizer: A lightweight moisturizing lotion that delivers immediate and lasting hydration, leaving skin feeling soft and supple. Pore-Minimizing Clay Mask: A nourishing and detoxifying clay mask that helps draw out impurities from deep within the pores, leaving the skin feeling clean, soft and refreshed. All Purity of Elements products are free of parabens, sulfates and phthalates. To enter to win, tell me which of the above 5 tips is your favorite in the comment section below. The giveaway begins today (February 9th) and ends Monday, February 23rd. It’s open to U.S. residents only. Good luck! #1 DEFINITELY! Not only good for your skin but for your whole body! I like #4. Great idea. Are those the only Nordstroms this is available in? I love the idea of starting with one idea of eating healthier. It is so overwhelming! 4. Focus on one way to eat healthier appealed to me as I get overwhelmed by all of the information about eating healther. I like all of the tips! Number 1 seems to be where I need to start. #4 is what I am focusing on now! We have a weight loss contest going on at work, and I am focused on smaller portions and increasing my vegetable/fruit intake. Just like you said, even swapping out a McDonald’s sundae for a homemade banana protein shake is a great way for me to up my protein and fruit servings for the day.